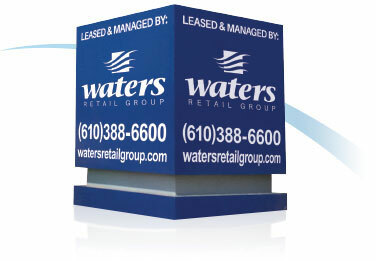 Kennett Square, PA (Chester County) April 8, 2019 – Waters Retail Group, Southeast Pennsylvania’s premier development, management, leasing, and brokerage firm, has leased 2,000 square feet of retail space in the Shoppes at Longwood Village to Club Pilates, who will be opening in the Fall 2019. Club Pilates is the largest provider of premium, Reformer-based group Pilates classes in the world with over 400 studios. The Shoppes at Longwood Village is located at the intersection of East Baltimore Pike and Bayard Road in Kennett Square, PA. The 141,940 square foot Shopping Center is anchored by TJ Maxx, Ross Dress for Less, Carter’s/Osh Kosh, Famous Footwear, Jos. A Bank and Starbucks. Ulta Beauty will be opening in late Spring with Fine Wine & Good Spirits Premium Store, Concord Pets and Purebread Deli opening later this Summer. Kevin A. Lahn represented the landlord in the transaction. « Concord Pet Food & Supplies signs a lease for 4,550 square feet in the Shoppes at Longwood Village in Kennett Square, PA.